FEDCON - The new Spock: Ethan Peck! FedCon 28 star guest Ethan Peck follows in legendary Star Trek footsteps as the Los Angeles-born actor takes on the role of “pointed ear” Spock in the second season of Star Trek: Discovery. Ethan Peck gained his first experience in front of the camera in 1995 in the television series Charlie Grace. One year later, he was on the side of Jimmy Smits (Bail Organa from Star Wars) in the TV movie Marshal Law. In the cult sitcom That ’70s Show s, the grandson of screen legend Gregory Peck slipped into the film skin of 13-year-old Kelso (played by Ashton Kutcher). For his leading role as Sailor in the feature film Adopt a Sailor he received the 2009 “Best Actor Award” at the “Sonoma Valley Film Festival”. To a wider audience, Peck finally became 10 Things I hate about you (based on the movie of the same name) through his role as Patrick Verona in the ABC series 10 Things I Hate About You and together with Nicolas Cage in the fantasy flick The Sorcerer’s Apprentice . 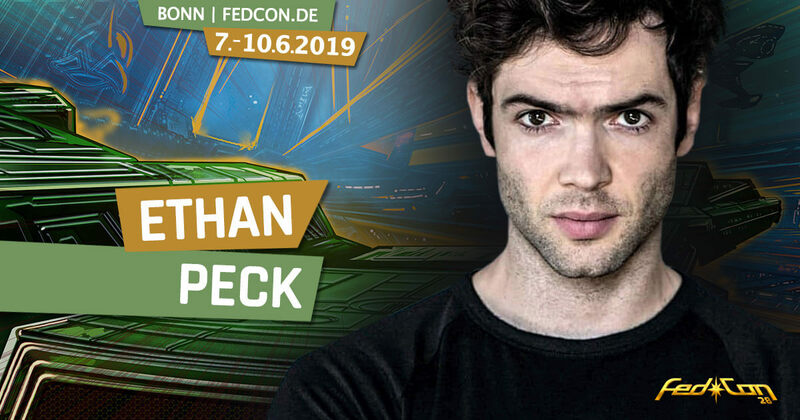 At FedCon we are looking forward to the exciting stories Ethan Peck has in his luggage about the shooting of Star Trek: Discovery. Fascinating … and almost logical that you should get a ticket for it in the Ticket-Shop.